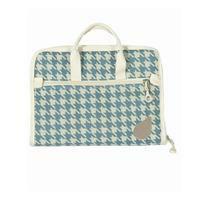 BlueFig Wheeled Travel Bag 23"
Travel in style with the BlueFig Designer Series Wheeled Sewing Machine Travel Bag. Measuring 23" wide by 16" high and 12.5" deep, this carrier can accommodate even the largest machine and its cover, as well as a project or two. The clever design allows both top loading and front loading of your sewing machine. The inside mesh pocket safely and neatly stores your favorite books and patterns while the inside safety strap ensures your machine is securely fastened during travel. 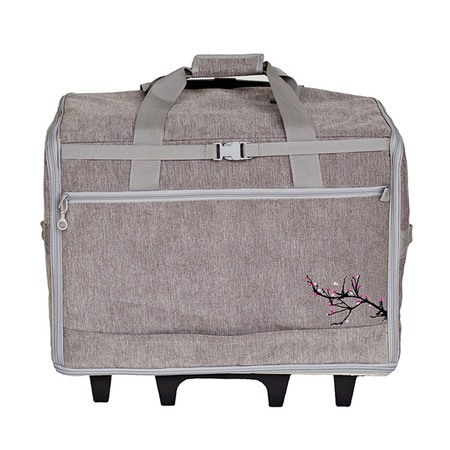 The BlueFig Wheeled Bag is not only built for beauty, but built for easy travel and storage. 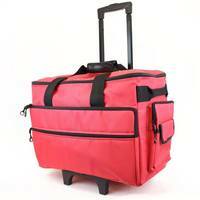 The sturdy, ball-bearing wheels and retractable handle make pulling your precious cargo effortless. The steel frame construction protects your machine during busy commutes and bumpy rides. 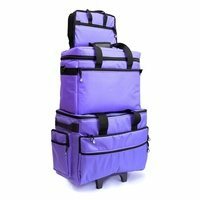 And best of all, the carrier is fully collapsible for easy and efficient storage. The brushed chenille exterior is made from the finest tapestry for both beauty and durability. Display your unique style with 3 different colors and embroidery designs: a blossoming branch, a darling daisy, or a sweet songbird. -Top load or front load option! 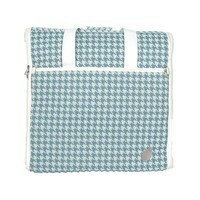 Customer Reviews for the BlueFig Wheeled Travel Bag 23"